This week, the ESO crew discusses those memorable tv moments that determined if a series went thumbs down or was making it so! Mike, Mike, and Bobby are joined by Jessa Phillips (GoodtoBeaGeek.com) and Phantom Troublemaker (NeedlessThingsSite.com) spotlight the highs and lows of classic tv. Plus, award-winning fantasy writer M.B. Weston is betrayed by her own guardian angel and finds herself in The Geek Seat! All this and Rants and Raves about J.J. Abrams directing the new Star Wars film, the Khan Report and Shout Outs! This week, my Shout Out goes to ComicBookTrailers.com! Next week, the Earth Station One crew revisits their childhood, Sid and Marty Krofft style. That’s right, ESO’s reliving their Saturday morning viewings of H.R. Pufnstuf, Land of the Lost, Electra Woman and Dyna Girl, Sigmund and the Sea Monsters, The Bugaloos, and so much more. ESO wants to hear from you! What are your favorite Sid & Marty Krofft memories? Also, have you recently visited a cool convention or planning one? Drop us a line at www.esopodcast.com, the ESO Facebook Group, email us at esopodcast@gmail.com, or call us at 404-963-9057 with your comments. We just might air your comments on the show! It's Christmas time and there’s no need to be afraid! Unless the Earth is being invaded by Sycorax and The Doctor spending most of his time in bed. Good thing you’ve got Torchwood on speed dial. 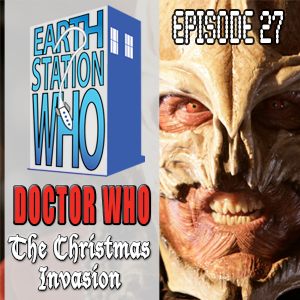 Mike, Mike, and Phantom Troublemaker take a look back at the Tenth Doctor’s first adventure when a holiday tradition was born. Don says, "Thank %&^#@, it's Friday!" This week, Mike, Mike, and Bobby are joined by Jeffrey Powers (Geekazine.com) and Lance Anderson (VergeoftheFringe.com) to spotlight the quirky and ingenious works of the Coen Brothers. Also, writer Nancy Hansen steps away from the keyboard only to find herself in The Geek Seat! All this, plus the usual Rants, Raves, Khan Report, and Shout Outs! 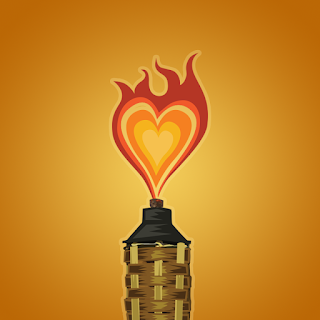 This week, my Shout Out goes to FAN-TIKI-TASTIC FRIDAYS! 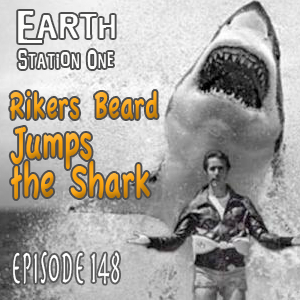 Next week, the Earth Station One crew straps on Riker’s Beard and Jumps The Shark. That’s right, ESO is looking at those TV show that Jumped The Shark and started off great, but then made a left turn that sent viewers running to change the channel. And we’re looking at the flip side of the coin as well and discussing shows that have grown Riker’s Beard and started off slowly, but improved in a later season. It’s sure to be a fantastic discussion and we’ll have some special guests join us in the conversation. ESO wants to hear from you! What shows jumped the shark or strapped on Riker’s beard for you? Also, have you recently visited a cool convention or planning one? Drop us a line at www.esopodcast.com, the ESO Facebook Group, email us at esopodcast@gmail.com, or call us at 404-963-9057 with your comments. We just might air your comments on the show! 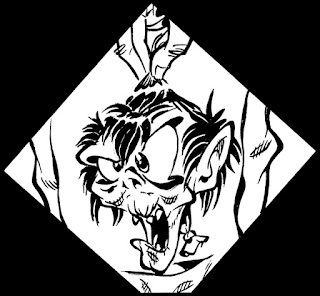 2013 is set to be a great year for TIKI ZOMBIE with issue #2 closer to a release date. Before we get to the main course of the luau, I'll be serving up tasty appetizers every week. So far, this issue has been even more fun to make than the first, and I can't say enough about the work by artist Peter Cutler. In fact, I won't say anymore at all, I'll just let you enjoy this panel! 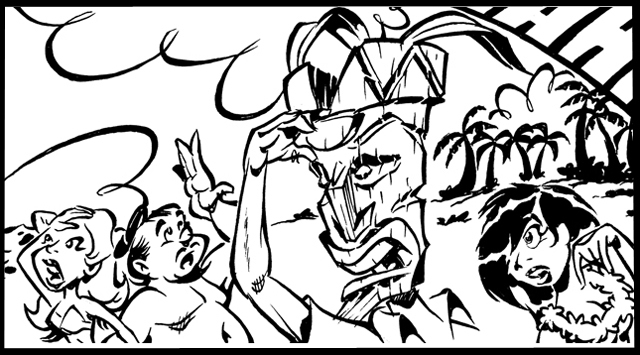 Looking for the next issue of TIKI ZOMBIE? It's arriving soon! Hulk vs Thing! Superman vs Batman! JLA vs Avengers! Can’t all heroes just get along? Mike, Mike, Bobby and special guest Darren Nowell discuss what happens when super friends fight. We also feature Khan Reports from the Atlanta South Comic Con and Swampcon. Plus the usual Rants, Raves, and Shout Outs! 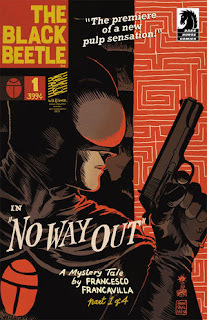 This week, my Shout Out goes to Francesco Francavilla's The Black Beetle comic! 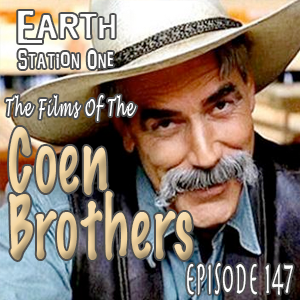 Next week, Earth Station One’s director spotlight series continues as we take a look at the films of Joel and Ethan Coen. ESO wants to hear from you! What are your favorite Coen Brother movies? Also, have you recently visited a cool convention or planning one? Drop us a line at www.esopodcast.com, the ESO Facebook Group, email us at esopodcast@gmail.com, or call us at 404-963-9057 with your comments. We just might air your comments on the show! Beware the big Bad Wolf! 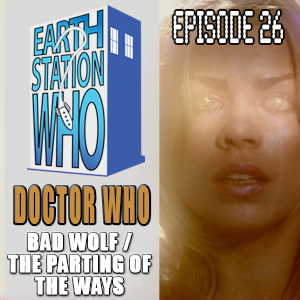 Mike, Mike, Phantom Troublemaker, and special guest Kirby Bartlett-Sloan (20MB Doctor Who Podcast) use their tribophysical waveform macro-kinetic extrapolator to survive deadly reality shows, a Dalek invasion fleet, and a naked Captain Jack Harkness so they can review the fantastic finale of the 9th Doctor. My first convention appearance of 2013 will be this weekend at the Atlanta South Comic Con! I'll be there with my fellow ESO co-host and writer Bobby Nash. Artists George Perez and Drew Geraci are also scheduled to appear, along with actress Madison Lintz. Should be a fun time! Stop by and say "Howdy!" This week, the ESO crew celebrates the birthday of one of the most iconic characters in literature, Sherlock Holmes. Joining Mike, Mike, and Bobby for cake, ice cream, and mystery are guests Ashley Bergner, Doctor Q, and Ron Fortier. While the World’s Greatest Detective deducts what presents we brought without opening them, we investigate his legacy and current popularity. We also chat with entertainer and musician Ken Spivey about his upcoming Time Lord Fest. Plus the usual Rants, Raves, Khan Report, and Shout Outs! 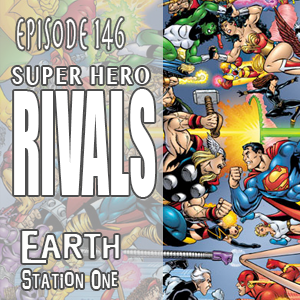 Next week, the Earth Station One crew takes a look at some of our favorite super-hero rivalries from comic books, TV, movies, and anywhere super-powered heroes do battle. ESO wants to hear from you! What are your favorite super-hero rivalries? Also, have you visited a convention or planning one? Drop us a line at www.esopodcast.com, the ESO Facebook Group, email us at esopodcast@gmail.com, or call us at 404-963-9057 with your comments. We just might air your comments on the show! 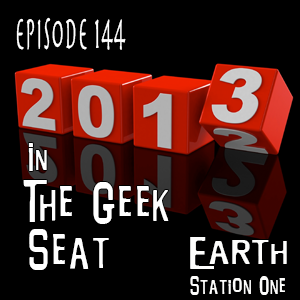 The ESO crew takes a look back at the year that was 2012 they only way they know how – by strapping it down to The Geek Seat! Mike, Mike, Bobby and special guests William Faber, Niki Rau-Baker, Josh Wilson, and The Phantom Troublemaker deal the skinny on the highs and lows of the year that was. Plus, reveal their hopes and dreams for 2013! We also chat with Ciara Powell about the upcoming Swampcon event in Gainesville, FL. Spend your new gift certificate at our new Amazon store! 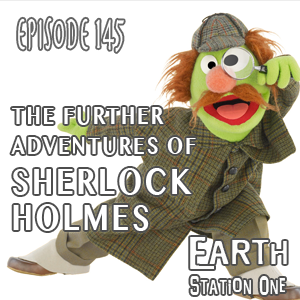 Next week, the Earth Station One crew once again travels to 221B Baker Street to consult with the World's Greatest Detective. The legendary Sherlock Holmes is more popular today than ever and we chat about the current incarnations of the character. ESO wants to hear from you! What is your favorite version of Sherlock Holmes? Drop us a line at www.esopodcast.com, the ESO Facebook Group, email us at esopodcast@gmail.com, or call us at 404-963-9057 with your comments. We just might air your comments on the show! Whether you were naughty or nice, one thing you can count on receiving on Christmas Day is a new episode of Doctor Who! 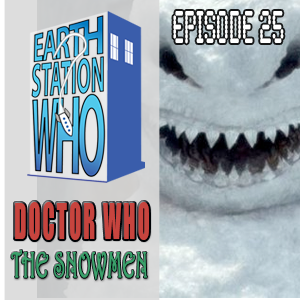 Mike, Mike, and Phantom Troublemaker are joined by William Faber, Bobby Nash, Sacha Dzuba, and Sean Whelan to review the annual special, though they did forget to use the gauntlets when handling the memory worm, so they each had to watch it multiple times. Check out the cool stuff in our new Amazon store!